The Ashram itself is located in a non-incorporated part of the City of Española called Sombrillo, located 20 miles North of Santa Fe. This is primarily a residential area. 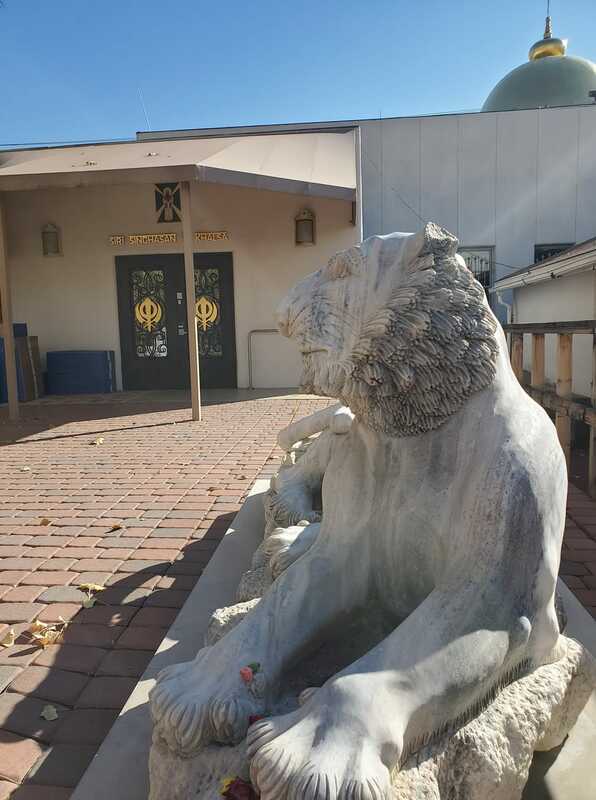 With the expansion of the Ashram, many Sangat members are living in other regions around Española such as La Mesilla, Arroyo Seco, and La Puebla. All of these areas are 2 to 5 miles from Sombrillo. Ashram classified ads - Comes out on Fridays. Subscribe to the ashram e-bulletin and you will receive the classifieds as well. Send ads to [email protected]. Rio Grande Sun - New ads/issues are posted on the web on Thursdays: www.riograndesun.com. Rents vary widely. Be sure to ask if a washer/dryer or hook-ups for same are available, if you are expecting in-home convenience. Also ask about A/C (known here as swamp or evaporative coolers) and whether pets are allowed. Private Casita - studio apartment - full kitchen & bathroom. Living room/bedroom, Queen bed, spacious, Internet , 4 minute walking distance to ashram/classroom. trees, lawns and a pond. Gated property with lawns and mature trees. Most of our rentals have lots of amenities including full kitchens, hot tubs, fireplaces, satellite TV, washer/dryers, dishwashers, and Internet hookups. *Sikh Dharma of New Mexico does not officially endorse any of the businesses listed above.